Are you too busy to perform your own regular pool maintenance? Do you want to delegate your cleaning and care to the professionals? Welcome to Poolcare of Greenfield, LLC. With over 25 years experience in the industry, we are a trusted leader in providing an extensive range of pool services, supplies, equipment and parts. We offer complete, cost-effective pool solutions that provide optimum results for your residential needs. 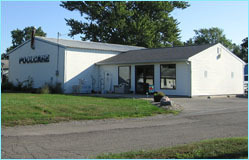 Family owned and operated, we have been serving Indianapolis and Greenfield, Indiana since 1985. We also service Zionsville, Carmel, Westfield, Noblesville, Fishers and Geist areas too! Our retail store boasts a broad range of quality products and supplies, including a full line of chemicals, maintenance equipment, pool toys and games. We are proud to provide all of the best tools, equipment and expert assistance necessary for routine spring openings and winter closings. 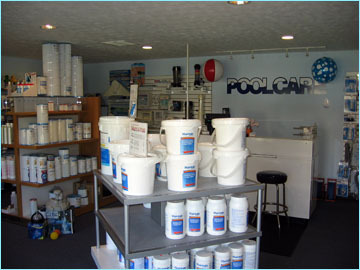 Visit us at our complete pool supplies retail store in Greenfield, Indiana.